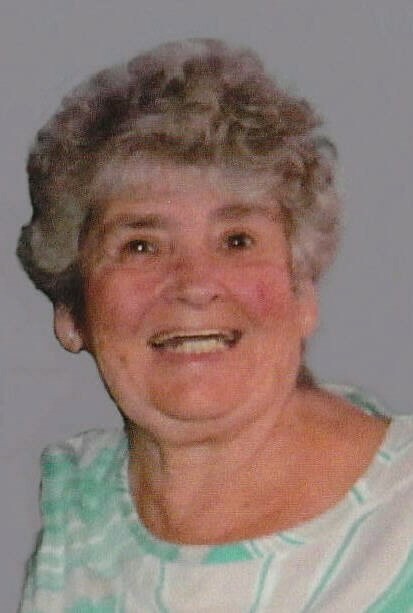 Janet C. Lee, 76, of Hannibal, Missouri, passed away at 8:18 p.m. Thursday (April 4, 2019) in Blessing Hospital. Born July 5, 1942 in Plainville, Illinois, Janet was the daughter of John C. and Rosalie Ellen Crim Smith. She married Vernon Maple who preceded her in death in September, 1965. She was later married to Jerry Lee. Janet currently shared her life with Jerry Zanger of Plainville, Illinois. Janet was of the Christian Faith. She enjoyed playing cards, especially Canasta, tending to her flower garden and just puttering around. She was a fan of the St. Louis Cardinals and enjoyed Nascar. Janet was employed as a heating coil assembler for Watlow Industries for many years until her retirement. Survivors include her companion, Jerry Zanger; two daughters, Annette Birkhead (Benny) of New London, MO and Brenda Lee of Hannibal, MO; four sons, Gerald Maple of Florida, Rodney Maple (Crystal) of Tennessee, John Paul Maple (Barb) of Florida and William Lee (Junior) of Chicago, IL; a step daughter, Karen McClain (Donald) of Hannibal, MO; two step sons, Chip Lee (Dawn) and Ron Lee (Denise) both of Hannibal, MO; eight grandchildren, Corey Roach (Taylor), Courtney Lee, Gerald Maple Jr., Clifton Maple, Tyler Maple, Kristen Maple, Yari Gonzalez and Kenneth Gonzalez; twelve great grandchildren, Peyton, Matthew, Cora, Emma, Josalyn, Bryce, Tyson, Rodney, Kahlescie, Evelyn, Shaina and Michael; a sister, Ethel DeVerger (Terry) of Plainville, IL; and many loving nieces and nephews. Janet was preceded in death by her husband, Vernon Maple; and a step daughter, Jackie Powers. Funeral services will be held Monday afternoon at 1:00 at the Zehender Robinson Stormer Cookson Funeral Home in Payson with Pastor Tim Goodman officiating. Burial will be in Akers Chapel Cemetery near Plainville. Visitation will be Monday from 11:00 a.m. until the time of services at the funeral home in Payson. Memorials may be made to Cardinal Glennon Childrens Hospital in St. Louis.